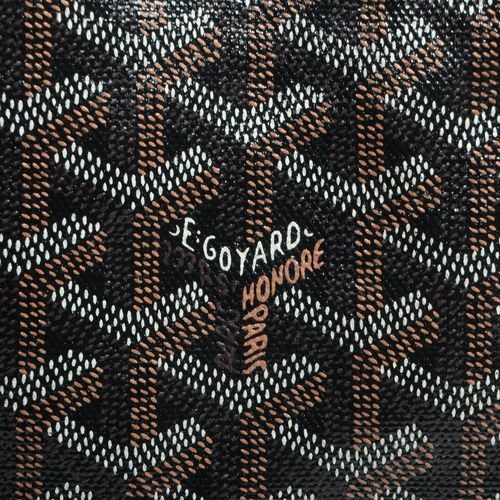 What makes Goyard stand out? Goyard is a brand that focuses on designing trunks, handbags, and other leather products. It’s perhaps one – if not the oldest fashion house that is still functioning, and it’s also a brand that is famous for its secrecy. It doesn’t self-promote, it doesn’t e-commerce, it doesn’t advertise, and it doesn’t offer interviews – yet it’s still one of the most sought-after brands, and everyone is wondering how they are doing it. Since Goyard is older than the famous Louis Vuitton by only a year (Paris, 1853), it started off with the same reasoning as they did. Since the main method of transportation was by carriage, the demand for highly-protective trunks grew bigger and bigger. The company was originally called Maison Martin (since the founder’s name was Pierre François Martin), but was later on purchased by François Goyard – hence the name change. That was also when they made their first “fun-size” handbag. The brand was always shrouded in mystery, and they never really tried to advertise their brand. It was only when François Goyard’s son took over that the brand started to grow. Not only did all trunks and Goyard handbags have the emblematic canvas of Goyard, but they also launched a line of pet accessories and automobile products. While the brand may grant interviews every now and again, this still happens very rarely. However, their luxury bags attracted many customers who wanted a shot at them. They also have a symbolic Y print which is obvious on all Goyard bags.